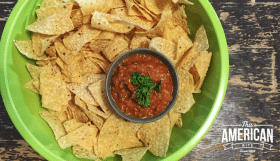 I’m out in Seattle this week, attending a conference and Seattle native, Melinda Strauss of Kitchen Tested has kindly stepped up to the plate to share a recipe with us today. One thing that Melinda doesn’t mention in her post is that she catches wild salmon herself — so there’s nothing fresher. I love the idea of combining soy sauce and bourbon for both sweetness and color, and this recipe has to be the most luxurious salmon I have ever seen. Over to Melinda! 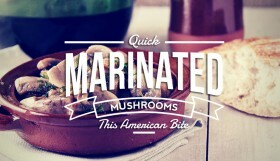 Thanks to This American Bite for giving me the opportunity to guest post on your blog! 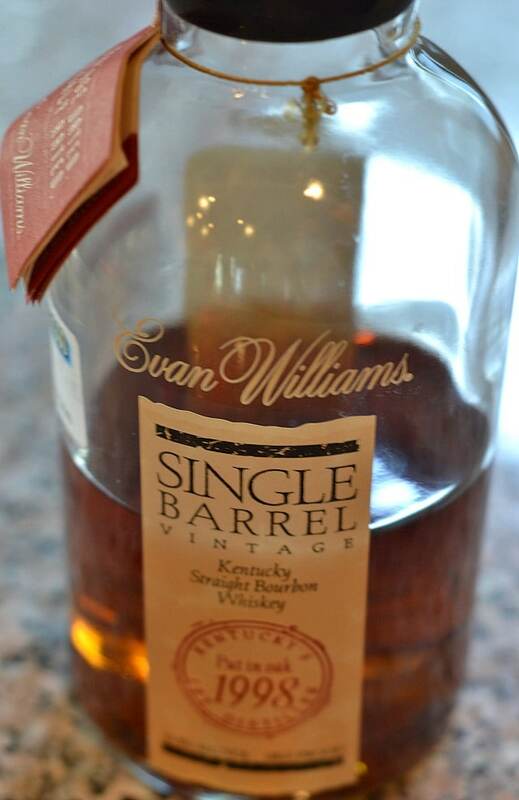 I’m not a big drinker but I’m celebrating this post with Kentucky Straight Bourbon Whiskey. Instead of drinking my bourbon, I’ve decided to use it as a marinade for fresh wild salmon and caramelize it in brown sugar. Does it get any better than that?!? This is a very simple and easy recipe with just a few steps and tons of flavor! I marinated the wild salmon overnight in a creamy mixture of bourbon, brown sugar, soy sauce, fresh ground ginger and garlic, lime juice, apple cider vinegar, ground mustard and pepper. 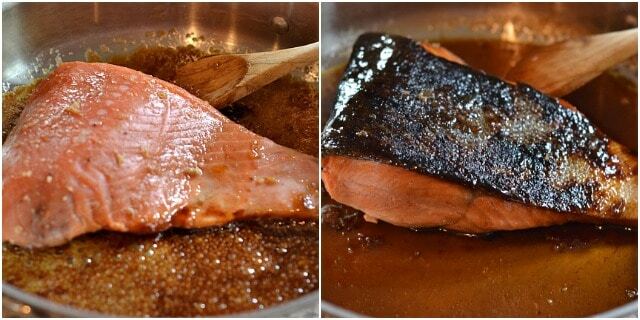 The next day, I caramelized more brown sugar in a pan with butter and cooked the salmon skin side down until brown and crispy. I flipped the salmon, added more bourbon and cooked until the sauce was thick and the salmon cooked through. 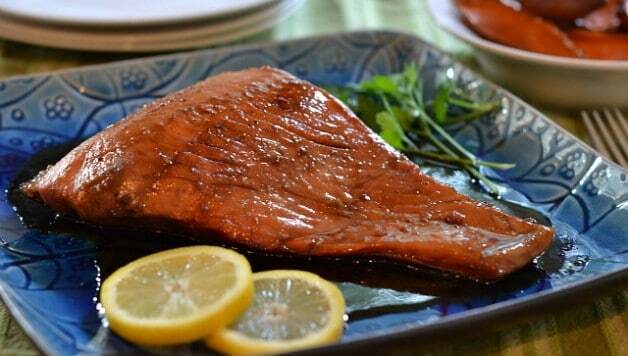 Check out the crispy skin on this bourbon marinated salmon! 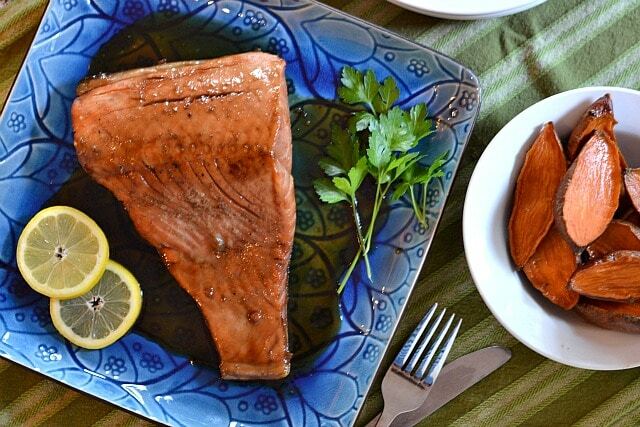 Say hello to this sweet and boozy salmon! 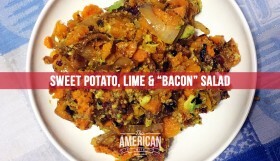 I served this dish with a side of candied baby yams, recipe courtesy of Busy in Brooklyn. I sliced the yams in half, covered in some brown sugar, pure maple syrup and sea salt and roasted at 400 degrees F for 35-40 minutes, until fork tender. You can smell the brown sugar caramelizing from a mile away! It’s just THAT good. Enjoy! Place salmon filets in a plastic freezer bag. 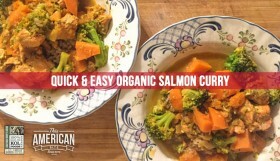 Stir together all marinade ingredients and pour over the salmon in the freezer bag. Marinate overnight, or at least 30 minutes. Stir in brown sugar and cook for 1 minute, stirring constantly, until brown sugar dissolves. Add salmon, skin side down, to the hot pan and cook for 5 minutes, stirring the brown sugar mixture occasionally so it doesn’t burn. Flip the salmon over, add the bourbon and stir it into the brown sugar mixture. Cook the salmon for another 3-5 minutes. Stir the bourbon and brown sugar constantly so it doesn’t burn. 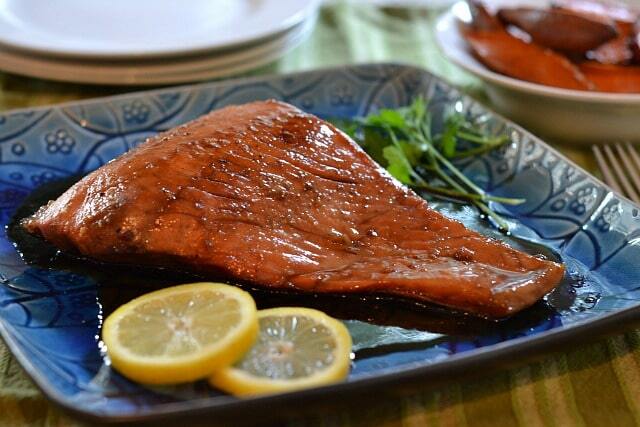 Serve the salmon with the caramelized bourbon brown sugar glaze.